Waubonsie Valley wrestling took home two championships and a third-place finish at the IHSA Regional at Marmion Academy on Saturday. Junior Charlie Millington improved to 25-9 after placing first in the 285-lb. class. After pinning Marmion’s Brandon Bryan, Millington defeated second-seeded Abbas Abdulkadhim of West Aurora by a 9-4 decision. In the finals, Millington pinned the top seed, East Aurora’s Ulises Apantenco. In the 220-lb. class, top-seeded senior Garrett St. Clair beat Marmion’s Jack Bazukas, 1-0, before toppling third-seeded Alex Richards from Batavia, 10-4. Freshman Antonio Torres was the second seed in the 152-lb. class. He pinned Marmion’s Dominic Bermudez and beat Naperville North’s Kyle Plank before falling to Batavia’s Justin Major, finishing second. Freshman Nathan Pappas held his own in the 170-lb. class by upsetting third-seeded Latron Cannon from East Aurora, 7-4. 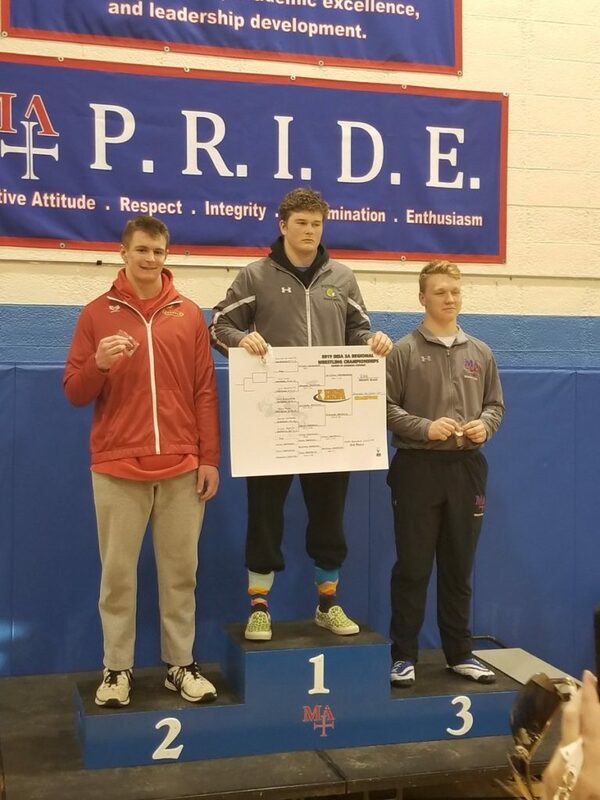 He finished fourth after beating Batavia’s Alan Poreba. 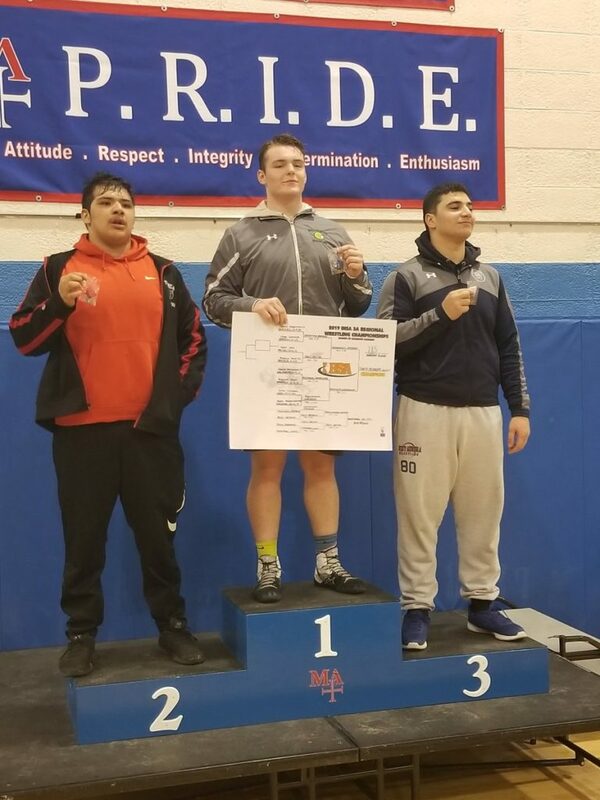 St. Clair, Millington and Torres advances to the IHSA Sectionals at Bolingbrook High School on February 9.